the rum soaked fist: internal martial arts forum • View topic - What if you just train one technique for the next 2 years? What if you just train one technique for the next 2 years? Re: What if you just train one technique for the next 2 years? Jarek wrote: "Everything" else comes out of the trunk, because the trunk has the DNA of all the material you have studied. 1. to your right, you will spin to your right and combine with a right spin back fist (branch 1). 2. to your left, you will spin to your left and combine with a right palm strike to the neck (branch 2). 3. downward, you will step in and combine with a left straight punch to the face (branch 3). How can spin back fist, palm strike, and straight punch have the DNA of the front kick? To react a variety of ways you described you need to know: how to spin (footwork), back fist, palm strike, punching... You focus on the left front kick, but to apply it effectively taking into consideration possible changes involved, you have to have a load of skill under your belt. 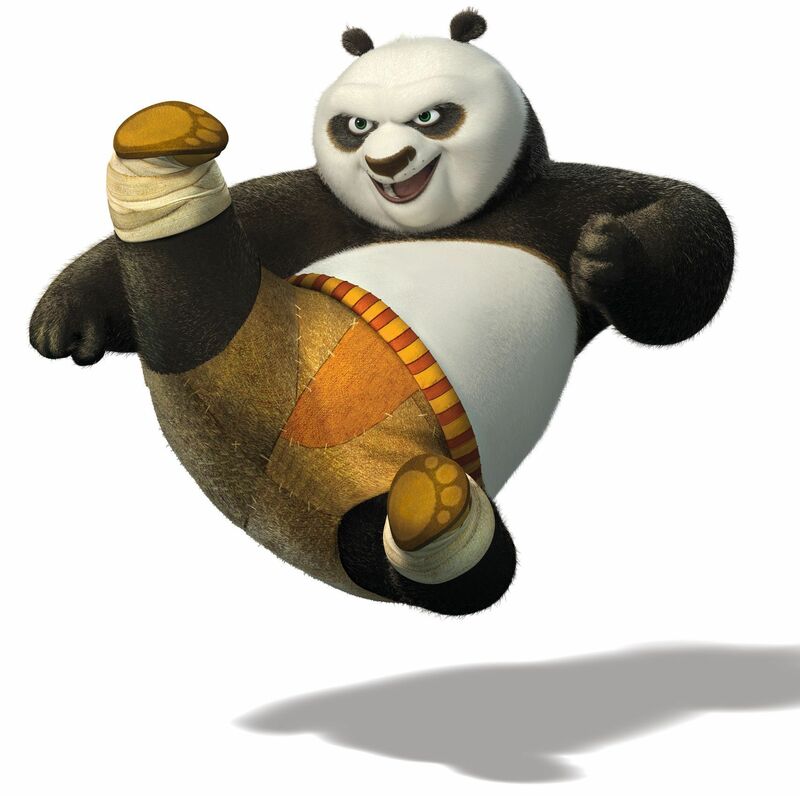 You will be famous for your kick (people will be saying "Wang is so good with his front kick, nobody can defend himself against it"), but in fact the kick that is just a part of a bigger array of skills, which is the DNA of the whole sequence. Without back fist, palm strikes, punches, footwork and reflexes the front kick set up will not work. This was my point. Steve James wrote: I was taught that I should be able to do any technique I'd use 100 times in a row. Or, more specifically, that I should only use techniques that I could do 100 times in a row. If that meant a front kick, that was the standard. That might mean that my favorite technique was a left front kick, especially if there were a reason I couldn't use my right. However, just having a lethal left front kick --even if I could do it 1,000 times in a row-- wouldn't be enough. There's always the other guy, and I may also need to defend against something he's practiced 1,000 times, including destroying a left front kick. That said, it's always good to have a "Go to" technique that one can do at any time from any angle that just works. yep - coming up against that guy that says "but I am left handed..."
if we changed the assumptions (of a very hypothetical question) to say you already know some stuff (instead of you know zero stuff), maybe it's different. Tyson with a left hook. Fedor or Rousey by arm bar. Royce by rear naked choke. Kind of "none can defend" for a tiny time period in a certain context. Are all their "other" things built to serve the strength of their "one thing"? Maybe that's the question. Should you do your one main thing given your other things help you with that one main strength? Yeah, probably, generally speaking in many, many fields. 1. to your right, you will spin to your right and combine with a right spin back fist(branch 1). Me too. That is more than "one technique for the next 2 years." That's several combinations/techniques against a "block." What if "your opponent" doesn't "block?" What if opponent moves, slips, counters (e.g., punch, kick, grab, trip, etc. ), fights outside range of your kick, takes out a knife, etc.? Even more "techniques" are required. The combo should be trained after 2 years. Many people may jump into combo too quickly without having built a strong tree trunk. What's your definition of "no technique"? My simple question is if you have used your right hand to knock down your opponent before, but you have never knocked down anybody with your left hand, should you say that you can catch the left hand knock down opportunity and finish the fight? This is why I don't agree with the "no technique" philosophy. To assume that you have "no technique" is the same as you have "all techniques" can only work in theory. Last edited by johnwang on Thu Dec 06, 2018 12:34 pm, edited 1 time in total. If you are attacked in the first 2 years and the "opponent blocks downward." will you use "right spin back fist?" johnwang wrote: What's your definition of "no technique"? The opponent's reaction (numerous) shows me what "technique" to use. One should train as if anything can happen. johnwang wrote: My simple question is if you have used your right hand to knock down your opponent before, but you have never knocked down anybody with your left hand, should you say that you can catch the left hand knock down opportunity and finish the fight? One should train "your left hand," too. One should not assume another opponent will provide the same "right hand knock down opportunity to finish the fight." Starting at :21 Bruce answers, "to have no technique:"
marvin8 wrote: If you are attacked in the first 2 years and the "opponent blocks downward." will you use "right spin back fist?" If "front kick" is the skill that I try to develop in the first 2 years (not low kick, high punch combo), I will not use spin back fist. In the first 2 years, I want to train that nobody can be fast and strong enough to block my front kick (develop strong tree trunk). My tree start to grow after that. During the 1st day of my Kung Fu class in UT Austin for each semester, I told all my 50 new students that I was going to use single leg on them. Not a single new student could get away from my take down. During one 1981 Chicago SC tournament, I used single legs to win 7 rounds in a roll. I personal had benefited by this training. If I will relive my live all over again, I will use this method to develop more trees through my life (at least 6 trees). In praise of J Wang! The only way to develop skill is to repeatedly do the conditioning for your strong 'take down' conditioning. 1. kick with heel to knee joint with use of flat part of foot. 5. Still working on body kao with zhou (elbow) not sure the evolution of this but so far so good. Will you use "front kick" against an attacker (e.g., johnwang, Khabib Nurmagomedov, etc.) that has practiced "all different ways to set up their single leg" and "not a single new student could get away from their take down?" Will you use "single leg" against an NCAA Division I All-American wrestler? You are talking about the ancient Chinese spear and shield paradox. Nobody can answer that question. Another sport. Pelé said that Messi only has one skill. How can he be considered best? Of course he has many skills, but no one can stop his one skill. The rest of us amateurs are so so at a lot of things. It's a specialized world. johnwang wrote: You are talking about the ancient Chinese spear and shield paradox. Nobody can answer that question. No. Most can choose to not box a boxer or wrestle a wrestler. It's called strategy and tactics. "So in war, the way is to avoid what is strong and to strike at what is weak." "To attack where opponent is strong is called 'mutual resistance.' This is inefficient, and contrary to taiji principles. . . . Offensively, attack where the opponent is weak." " . . . but in fact the kick that is just a part of a bigger array of skills, which is the DNA of the whole sequence. Without back fist, palm strikes, punches, footwork and reflexes the front kick set up will not work." everything wrote: Another sport. Pelé said that Messi only has one skill. How can he be considered best? Agree, Messi has many skills. Just because Pele makes a petty comment doesn't make it true. I cannot answer it, but I can say something about it. It is a paradox of like kind with "What happens when an irresistible force meets an immovable object?" Or, "Can God create a stone so heavy he cannot lift it?" I notice something very interesting about paradoxes. No paradox can be a component of a logical argument. Why? It has no true/false value; that is what makes it paradoxical. When you get to the true/false branch in a flowchart, progress stops! Soon you will only want to practise Zhanzhuang and fighting every day and then only Zhanzhuang. The rest is only implied..
MaartenSFS wrote: Soon you will only want to practise Zhanzhuang and fighting every day and then only Zhanzhuang. The rest is only implied.. If one trains in ZZ all his life, he still won't know how to do a foot sweep.